The Real Horoscope Dates - Get Your Accurate Star Sign Information! Find out your real Star Sign and why most magazines get it wrong! To start, here's a quick lesson on how your Star Sign is actually determined. As you learn in School, the planets in our solar system orbit the Sun, and your Star Sign is where the Earth and Sun are when you are born. It's bit confusing to explain in words, so the following image shows where the Sun and the Inner Planets (Mercury, Venus, Earth, and Mars) were on January 3rd, 1980. If you look at the picture below, you will see blue lines radiating from Earth, dividing the space around it into 12 equal segments. Each segment is ruled by a Zodiac sign. 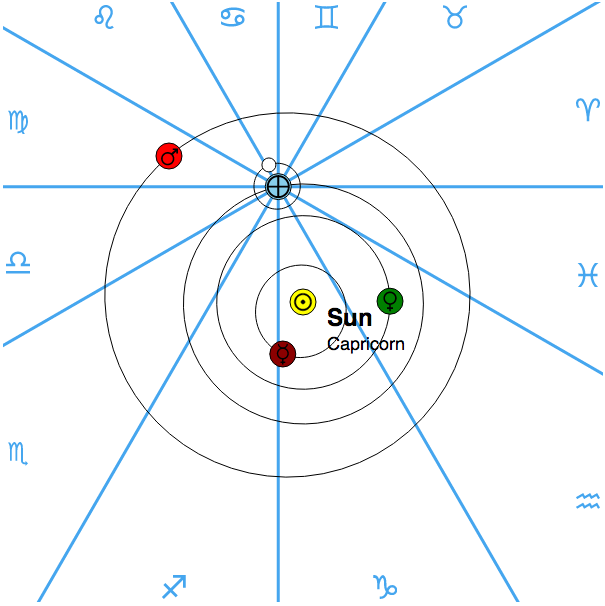 The yellow circle represents the Sun, and on this date it is in the space designated for Capricorn... so if your birthday was January 3rd, 1989 your Star Sign would be Capricorn. A person's Star Sign is the Zodiac Sign containing the Sun on the day they were born. To understand how the Horoscope Dates change, let's fast forward five months to June 3, 1980. 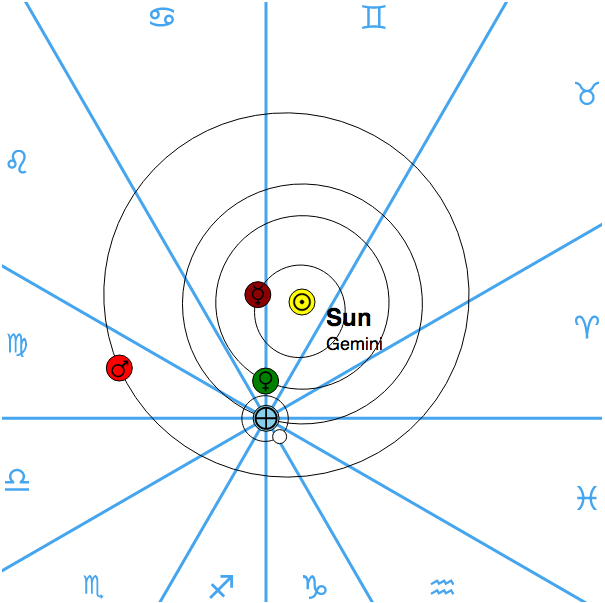 In the following picture, all the planets have continued on their orbit around the Sun, and now, because Earth has moved, the 12 Zodiac segements (the blue lines) have moved as well - and the Sun is in the segment ruled by Gemini. If you were born on this day, your Star Sign would be Gemini. When I was learning Astrology, this illustration really helped me understand what a Star Sign means. What is a cusp, and why does it matter? The days around the moment the Sun moves from one Zodiac sign to another are called the cusp, and people born at the cusp of two Star Signs generally have attributes from both signs. This is where most Magazines and News Papers get Horoscopes wrong. If you are born near the cusp, to get your exact Star sign you need to plug in the time and location of your birth into an Ephemeris. This is because time zones, your location and many other factors will determine what sign the Sun was actually in. 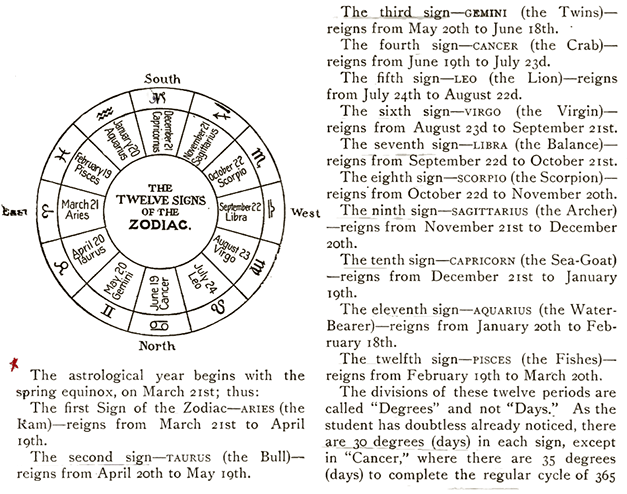 But remember, like I mentioned before (and this belief is not just my opinion, it's shared by many published astrologers dating back hundreds of years), if you are born on the day the Sun moves from one sign to another, you should consider yourself of two Star signs. My Star Sign calculator below will let you know if you are at a cusp, or if you have one whole sign. 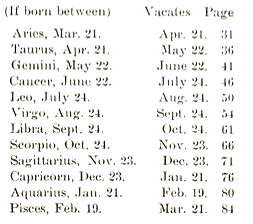 On the rest of this page I'll show some of the discrepancies in various Horoscope Date tables, and provide evidence to support my hypothesis that the only way to really know what star sign you are is to calculate it. If you just want to know what Star Sign you are, you might want to just use the calculator above... but if you're curious to learn more, keep reading! The following image is my favorite example that shows the sky split into 30 degree arcs, radiating from earth. 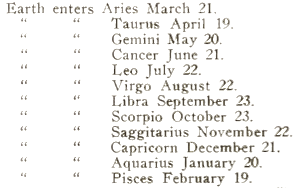 It's from a book by Comte C. de Saint-Germain published in 1901 called Practical Astrology: A Simple Method of Casting Horoscopes. 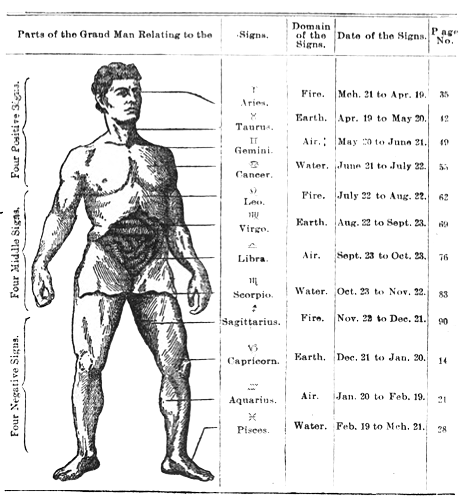 It shows an ancient tool, with the planets in each Zodiac sign radiating from Earth in 30 degree arcs. Each 30 degree arc is split into 3 Decans (or Decanates). These are same degrees used in my Calculator (although I have rotated mine by 180 degrees). 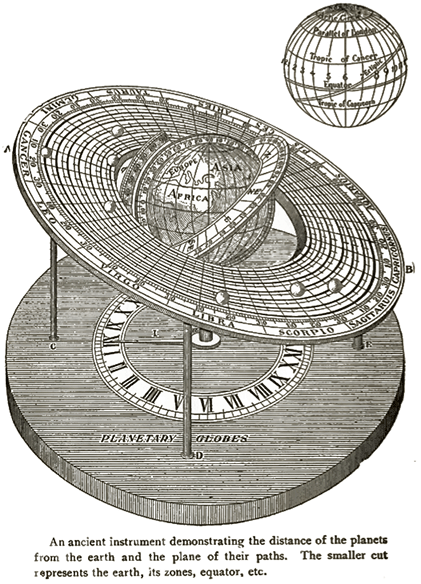 Instead of using an antique tool to determine where the planets are relative to Earth, I use the VSOP87 planetary theory by Bretagnon and Francou. It's too complicated to get into here, but if you would like to learn more this Wikipedia page is a good place to start. Of course, we now know that the planets do not orbit Earth, but this is reason why the different Zodiac signs are Geocentric (based on Earth's position). 1) Leo, Alan. Astrology for All. London. 1899. 2) Webber, Carl. Astrology in a Nutshell. Boston, Mass. 1902. 3) Raphael, Albert. Earthology. London & New York. 1901. 4) Jensen, Magnus. Everybody's Astrology. Camino, California. 1922. 5) Saint-Germain, Comte. 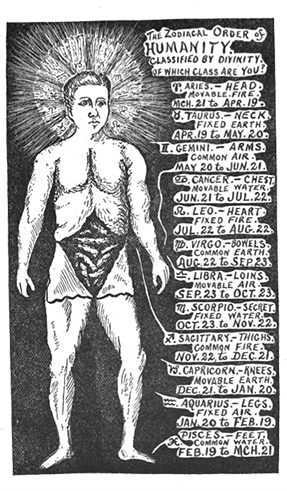 Practical Astrology. Chicago. 1901. 6) Leroy, Jean Francis. Socail Science in the Light of the Solar System. San Jose, California. 1913. 7) Seva, Bhakti. The Hindu Book of Astrology. New York. 1902.